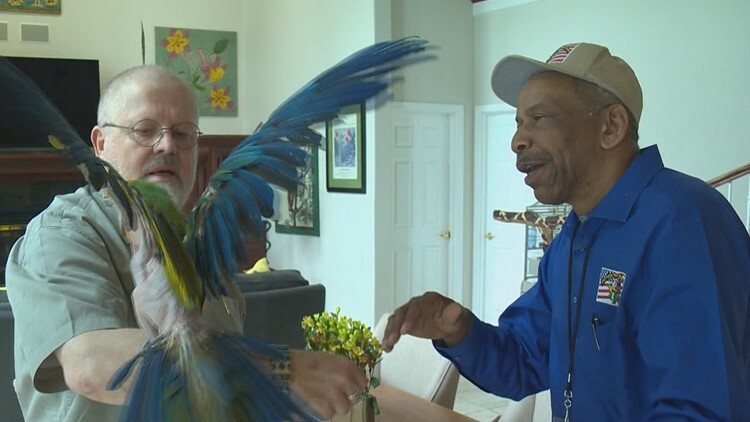 Founder Christopher Driggins said owning a bird is like raising a 3-year-old that requires constant attention. That focus can help those with PTSD or their own daily struggles. 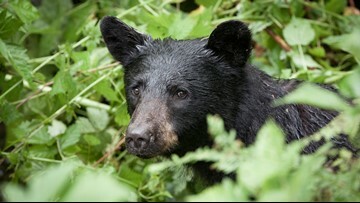 There are several steps you can take to help avoid unwanted encounters with bears. The pups, the stars and Seattle based analyst David Frei will all be on hand. 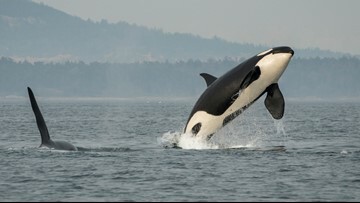 A coalition of orca experts sent a letter to lawmakers asking for more focused and immediate action to save the endangered southern resident killer whales. KING 5 Environmental Reporter Alison Morrow show us what they say are the most pressing needs. 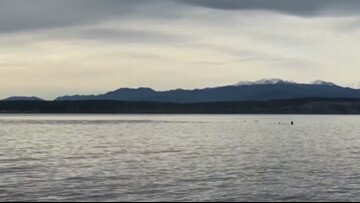 Two significant moves to report from those watching closely along the Edmonds waterfront. 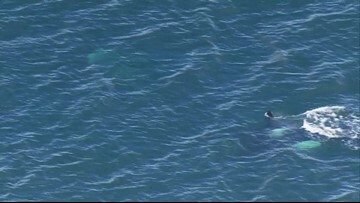 An amended bill passed out of a house committee that would increase the buffer zone between boats and whales from 200 to 300 yards. It would also make violating buffer a crime as opposed to something akin to a traffic ticket. Rep. Joe Fitzgibbon presents his case for salmon preservation to aid in southern resident orca development as well as the removal of catch limits on some of the smaller salmon predators. 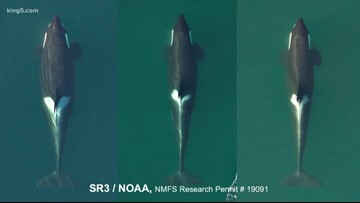 Video from Center for Whale Research shows a Southern Resident orca known as L124 or "Lucky" just a day or two after it was first spotted on Jan. 10. 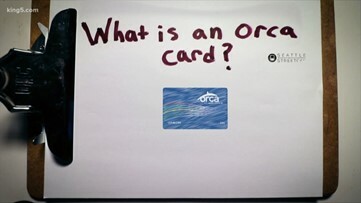 What is an ORCA card? 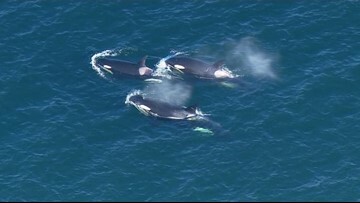 One of puget sound's leading experts on the southern resident killer whales says two more will likely die by this summer. 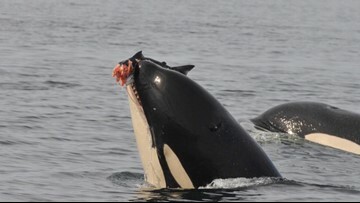 Last September we told you about K-25, a male orca suffering from a condition called peanut head. 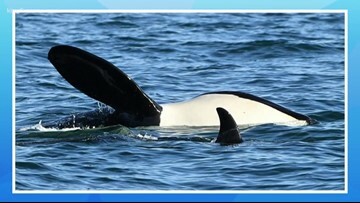 KING 5 Environmental Reporter Alison Morrow has an update on him, and the latest female orca identified with the same condition. 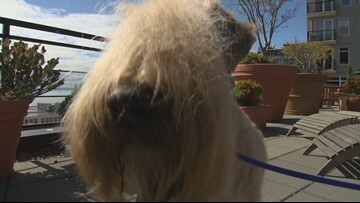 KING 5 Environmental Reporter Alison Morrow has the details. 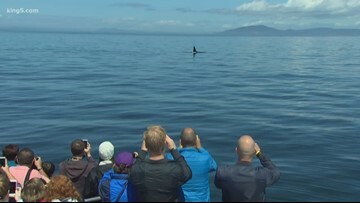 A group of whale watchers witnessed an orca calf breaching more than a dozen times in the Salish Sea. 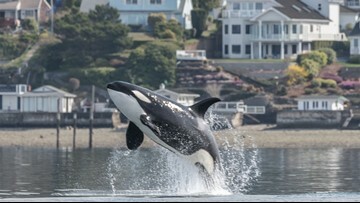 State lawmakers are taking action that they hope will give orcas a boost. The measures take aim at boast noise, pollution, and dwindling prey. 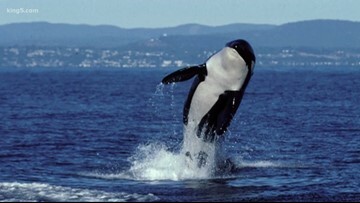 The federal government announced it will propose expanded habitat protections for orcas in the Pacific Northwest. A new way to be a horse owner is getting people out of the city, and onto the farm. 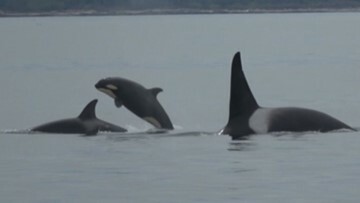 Orca J17 was spotted in Puget Sound along with other members of J Pod. 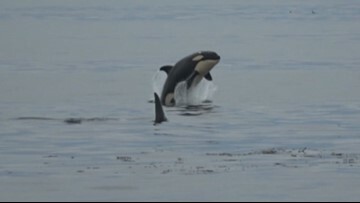 J17's condition appears to be improving after showing signs of malnutrition. 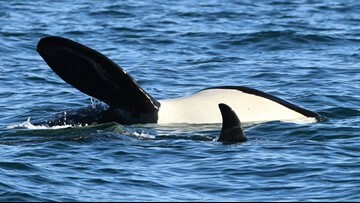 Lanni Johnson is on a 17-day hunger strike to draw attention to the plight of the struggling Southern Resident killer whales. 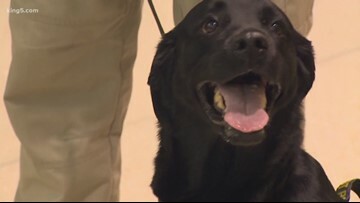 Bela, an explosive detection canine, has worked at Sea-Tac Airport since 2014. As you start to do deep spring cleaning, pet owners should be warned that this time of year more pets are rushed to emergency vets for ingesting household products or insecticides. 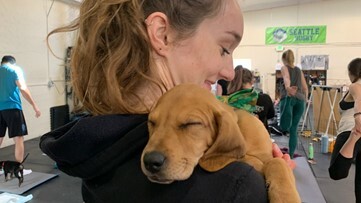 Heaven is a place on Earth, and it's at Strive & Uplift Gym in Ballard- because puppies. And yoga. Combined. 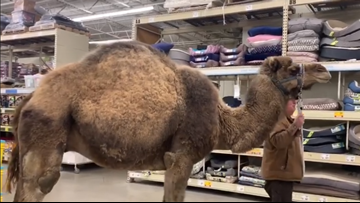 A Michigan man brought his pet camel to PetSmart, where "all leashed pets are welcome." 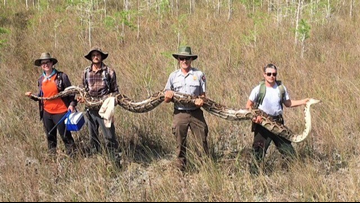 The snake weighed 140 pounds and had 73 developing eggs in her. The Oregon Department of Fish and Wildlife says that 2,400 steelhead reached the upper Willamette River to spawn this spring - the most in three years.